It was a serious problem, he said, and an “act of crime” against the public as the political-appointed advisor had seized the authority of the editor-in-chief to remove the content of news stories. “It is a crime against journalism as these people have seized the power of the editor-in-chief for exercising their political interests. “The Press Council is concerned about this situation, and would like to take the opportunity to convey our concerns to the public as well also to the government bodies to look into this situation,” he said. The Press Council also condemned the head of the Office of the Secretary of State for Social Communication (SECOMS), Julio Goncalves, as he had threatened to sack RTTL journalist Constancio Vieira from his job, following his comments on freedom expression and freedom of the press on his social media account. 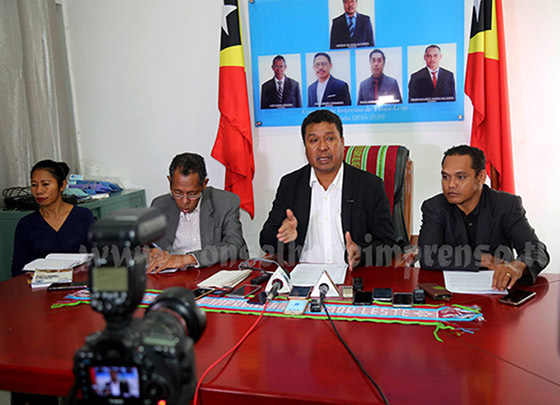 In an interview with Timorese media, which was also broadcast by the country’s public radio, the president of RTTL Francisco “Gari” da Silva, said he had received an official letter from the Press Council, protesting against the newsroom interference. “We have received a protest letter from the Press Council and we held a meeting discussing the issue, which regard to the news stories that RTTL broadcast. We do appreciate the Press Council’s concerns and hope we will make self-improvements,” he told public radio. The political interference in RTTL’s newsroom happened in the country’s broadcasting service after the former president Gil da Costa Naldo Rey, was sacked from his post by the new government, following a controversial audit that had been conducted, indicating that there were some “irregularities”. Francisco da Silva Gari was the one who in charge of the Secretary of State for Social Communication-led audit. Weeks later he was appointed to replace Gil da Costa Naldo Rei as new president of RTTL. Timor-Leste is ranked 95th in the Reporters Sans Frontiers (RSF) annual World Press Freedom Index.